The freedom that comes with having an online business is wondrous. There are many people who found great success in working for themselves from home. Many of them living the life they always dreamed of and doing the type of work that excites them. Imagine getting out of bed and doing the work that motivates you? So much better than dragging yourself to work doing a job you hate and trying to please ungrateful people. 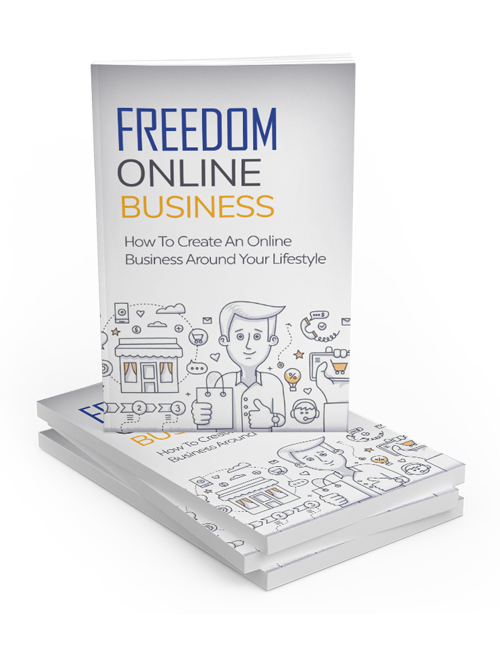 In this guide which complements the Freedom Online Business videos, you’ll be shown the path towards creating a business you love which will give you the freedom to work on your own time and terms. You’ll learn about the various online business models which you can begin as we speak, finding your niche and target audience, analyzing your ideas to make sure it’s profitable and viable, deciding on your business model, promoting your business using a variety of methods, how to grow your business using sales funnels, working smarter instead of harder so that you’ll have a thriving business and much more. The internet is so vast and with so many avenues for promotion that you’ll truly realize how you can fully engage with your target audience through this guide. With millions of people looking for products of all types in every niche, you’ll be finding the niche that’s right for you and be on your way to building a thriving business. Hit the download button now.